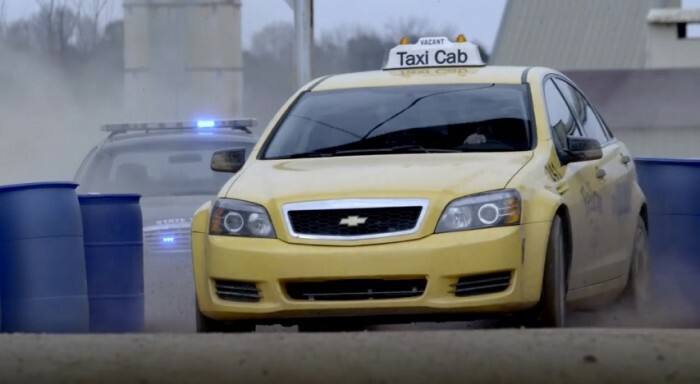 The Sports Techie community blog may recall that last year Jeff Gordon went undercover in a Chevy Camaro to surprise an unsuspecting car salesman with an impromptu “race” in the test car. It is hilarious how Gordon uses the Pepsi Max Can Cam and Glasses Cam to entertain nearly 41 million YouTube views since last March. While last year’s video was very popular with fans what questioned whether Gordon actually did the Test Drive via Google searches. The MAX marketing team got some feedback from Jalopnik, specifically editor Travis Okulski, who wrote an article questioning whether Jeff really drove the car and whether the video was real, stating it was, “100 percent totally fake.” So guess who the target of this new test drive was? That’s right, Jeff and Pepsi MAX decided to bring the unexpected to Travis. With the help of Ray Wert, Travis’ friend, the dupe was on for the New Jersey native. 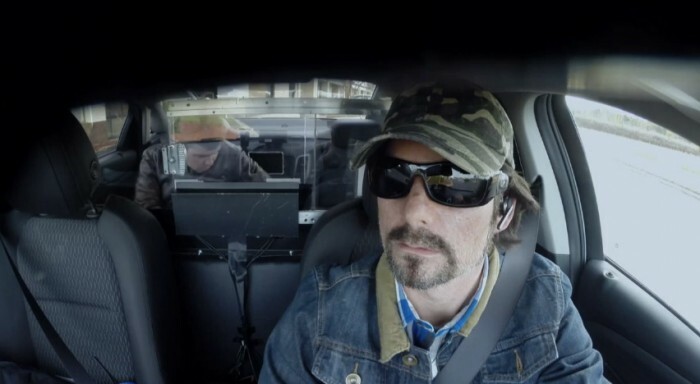 Pepsi disguised Jeff as a Mike the cab driver who picked up Travis at the hotel in a taxi. He asks Okulski to buckle up which is still fairly odd for a taxi driver to ask but Travis was not alerted to this tip. Mike’s character turns out to be a 10-year ex-convict. Gordon wears a camo style ball cap, sunglasses, and a fake moustache and fake tattoos, to nail the funny prank. Mike pushed his driving to the max, giving Travis the most surprising, shocking ride of his life. It started out nice and normal, but once the State Trooper who was actually a stunt driver, pulled them over, all hell broke loose. Needless to say, Travis will never question Jeff’s driving skills or the credibility of a Pepsi MAX Test Drive again. Sports Techie, Thumbs up for Pepsi MAX and Jeff Gordon for involving the fan experience in this new advert. Travis certainly had it out for the first Test Drive video. Flipping the tides on him in Test Drive 2 was borderline genius. The Pepsi MAX Test Drive official social media hashtag is #TestDrive2. Travis looks like he is acting from the start to finish in my opinion but who cares. Is that how you all feel? Sure he gives a decent performance and Gordon does another seamless crossover from NASCAR to acting but the last celebration scene was a tad over the top. I was glad when Gordon finally said, “That was amazing,” with a Bluetooth still lodged in his ear, somehow that felt unrehearsed, maybe. Enjoy your zero calorie cola in disguise.